I used to think that meal planning is an easy-peasy job. But when I became a stay-at-home mom early this year, I realized it isn't as easy as I thought it was. From writing down what to cook for breakfast, lunch and dinner, to marketing for ingredients from the wet market or grocery, it definitely is a tough momma job. My family loves eating. So much so that they want a different dish each time. Batch cooking doesn't work for us. Everything has to be fresh out of the kitchen. I've cooked many staple dishes and some of them become a totally different dish just by adding an ingredient - such as corn or mushrooms. Mushrooms help make dishes more flavorful, nourishing, and fun to eat. That's the trick mommies, add something different to the dishes you usually cook and your everyday meals become more delicious your family will surely enjoy. I use JOLLY mushrooms, the No. 1 canned mushroom brand in the country today, to my Burger Steak, Filipino-style Spaghetti, Adobo, and Chicken Afritada recipes, to name a few. Today, I will be sharing with you two recipes which you could also try at home. I am sure your family will love this easy-to-prepare recipes and make the dishes more appetizing than ever before. 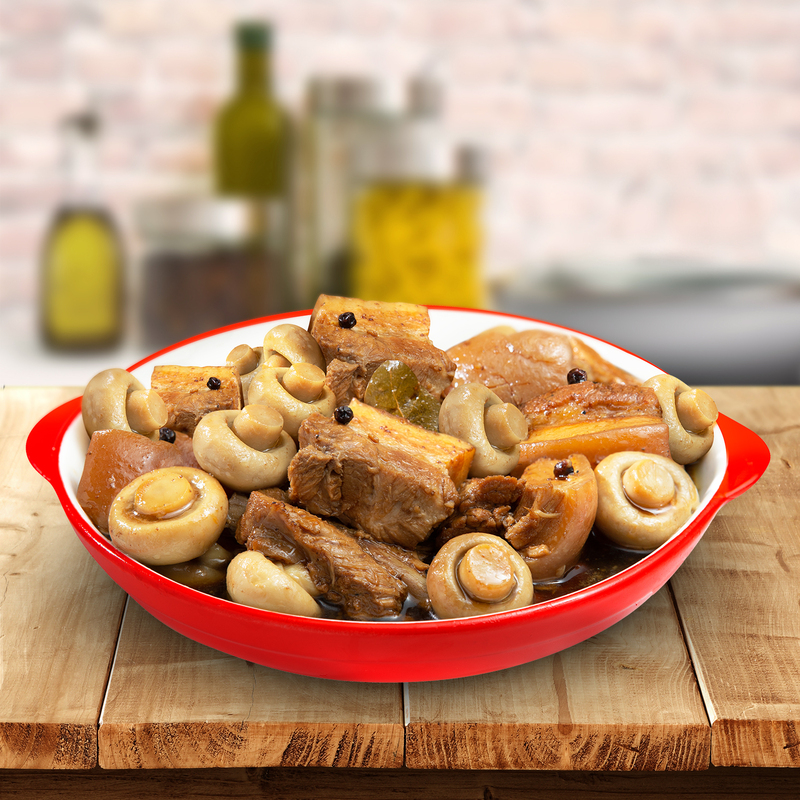 Following the 1 can of JOLLY Mushrooms + ½ kg of pork or chicken ratio, one can come up with a much delicious, nutritionally balanced dish that is a good source of protein, valuable minerals, and antioxidants. Because mushrooms deliver a rich, earthy umami taste and meaty texture, they are used to perfectly complement almost any dish, any cuisine. “Mushrooms are natural flavor enhancers. Whatever variety, their robust flavors and textures make them a versatile pantry must-have. 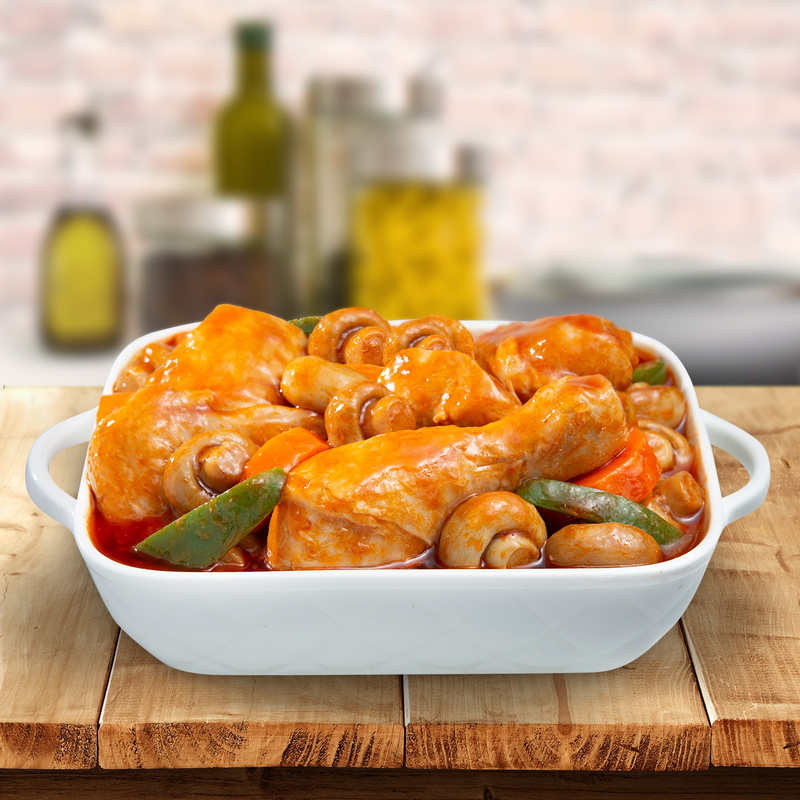 Whether used as a practical non-meat substitute or combined with other main ingredients like meat, vegetables, or seafood, mushrooms can make any dish more satisfying, and enjoyable to eat,” says Fly Ace Corporation Group Product Manager for Canned Fruits and Vegetables Marilou Acuña. 1. Heat oil in a pan. Pan-fry pork for 10-15 minutes or until light brown on all sides. Remove excess oil. 2. Add onion and garlic, sauté until fragrant. 3. Add soy sauce, vinegar and water; let it simmer without the pan cover for 30-45 minutes. Add water if it becomes too dry. 4. Add peppercorns, bay leaf and JOLLY Mushrooms, continue simmering until pork is tender and sauce is reduced. Adjust seasoning if needed. 1. Heat oil in a pan. Pan-fry chicken for 10-15 minutes or until brown. Remove excess oil. 2. Add the bay leaves, garlic and onion. Sauté until fragrant. 3. Add tomato sauce, water, pepper, fish sauce, tomato paste, JOLLY Whole Mushrooms, bell pepper and carrots. Stir well. 4. Let it simmer with the pan covered for about 15-20 minutes or until chicken is tender. Add water if sauce becomes too thick. There you have it loves! Two everyday recipes made more special, nutritious, and appetizing for your whole family to enjoy. You can even serve these dishes this holiday on your Noche Buena table. 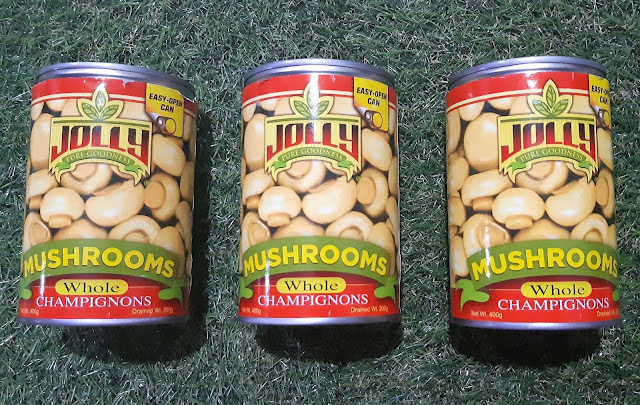 For more recipes and updates JOLLY products are available in all leading supermarket nationwide. For more updates, visit jolly.com.ph or like its official Facebook page or follow via Twitter and Instagram (@jollyeatsph).